Now we will also inform about activities and events taking place at the racecourse. 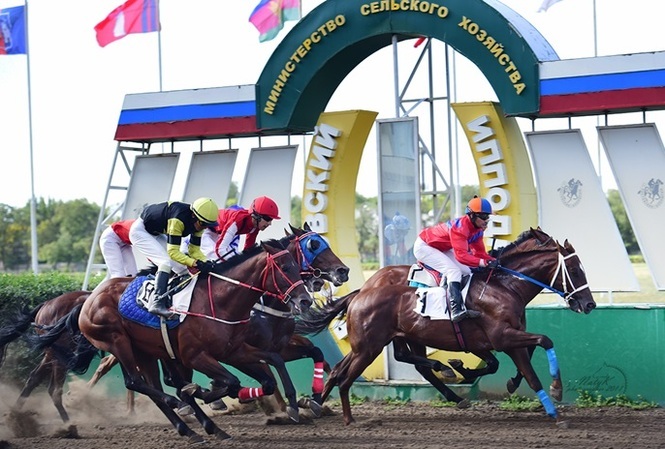 The Rostov-on-Don racecourse - one of the oldest in the south of Russia, is the main arena for testing horses grown in the North Caucasus, it is Russia's central racecourse for testing half-breed horses. Due to the high level of organization and conducting of the race tests, Rostov-on-Don always attracted the strongest horses of the English thoroughbred breed. Famous Russian jockey and coach Nikolay Nasibov started his star career here. The Rostov-on-Don racecourse is the first private racecourse in Russia. Since 2002, it is the part of the group of companies «Yug Rusi». Races are held during the race season every Sunday in any weather. Along with carrying out tests of young pedigree horses, competitions on classic equestrian sports are systematically held at the racecourse. We are looking forward for spring and start of the race season 2018, then we can come to the races and see this bright show! More information about the activities of the racecourse you can see on the site.